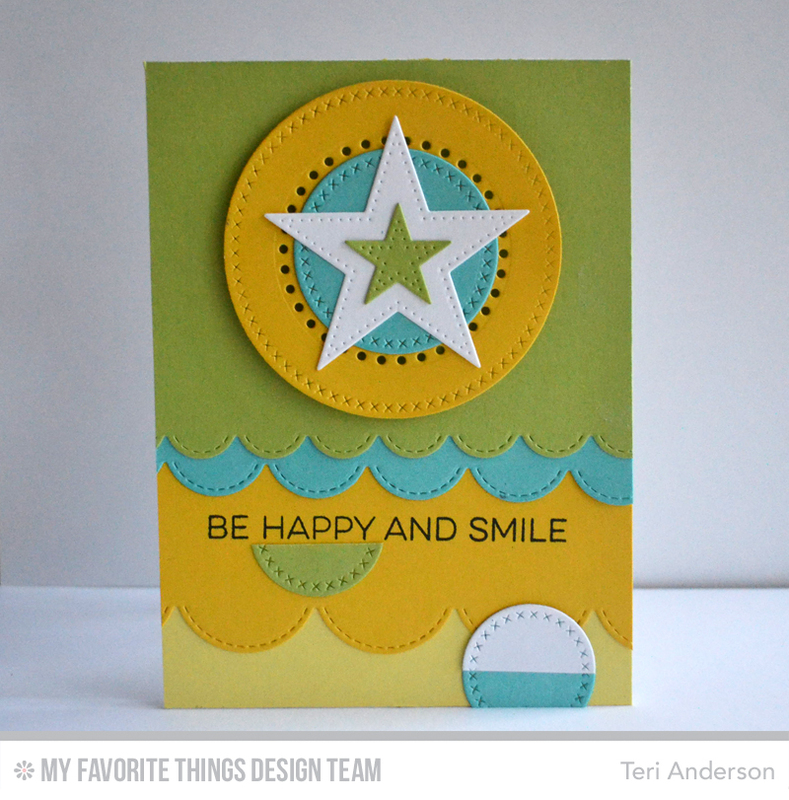 MFT Die-namics Design Challenge: On the Border | A bit of this. A bit of that. I’m back and taking part in another Die-namics Design Challenge with the My Favorite Things Design Team. Our challenge this time was to focus on border designs. My Favorite Things has lots of great border dies, offering close to 30 different border Die-namics dies. From scallops to conversation marks to fence lines, there’s a little something for everyone. I decided for this challenge to pull out the Stitched Scallop Edges Die-namics. Scallops are such a classic border. What I really dig about the MFT dies is they have that extra stitching treatment added to them. It makes them extra fun to use. For my card, I used the set’s three dies to cut three different panels. Look really close and you’ll see one panel has small scalloped edge, one has a large scalloped edge and one has a medium scalloped edge. The cool thing is that even though they are different sizes, they still look pretty cool when you use them all together. I was really digging the stitch lines so I decided to add some more stitching to the card in the form of circles cut with the Cross-Stitch Circle STAX Die-namics. I cut into that larger circle with a circle from the Stitchable Dot Circle STAX Die-namics. Thought it turned out pretty fun! So that’s what I have for you today. Be sure to hit the MFT Blog to see who else is played along and is sharing a project today. Teri, I love your card. The colors are unusual, but GREAT together! Darling, fun design, Teri and love those colors!!! Thanks for reminding me how cool that stitched scallop looks… must use them more often! 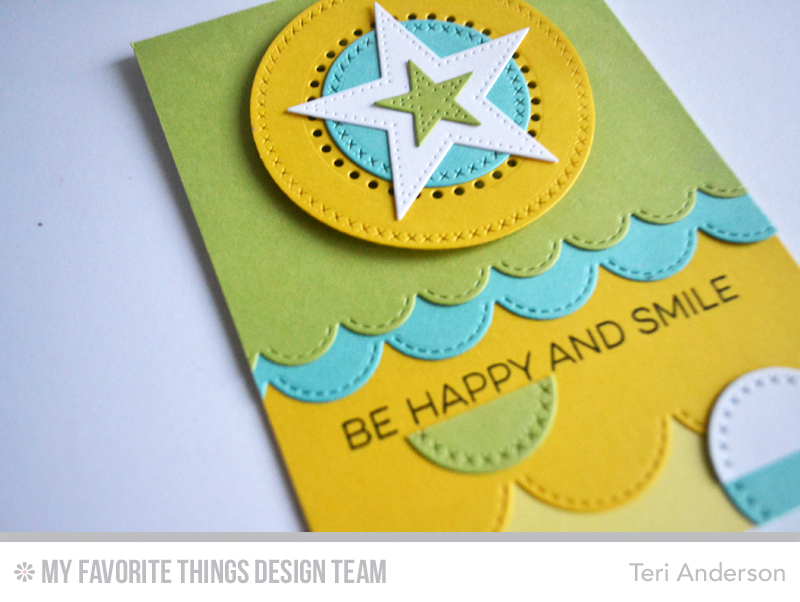 Fun design Teri! Love the colors and the details of the various stitch work.